Whether you choose outdoor or indoor hot tubs, it offers numerous opportunities for relaxation in your home every day of the year. Warm water and effective and versatile massage relaxes the muscles and relieves stress. Hot tubs is easy to use and it is always ready for bathing. Best of all, it is for year round use. Good insulation and heating and filtering system ensure water remains at a desired temperature. 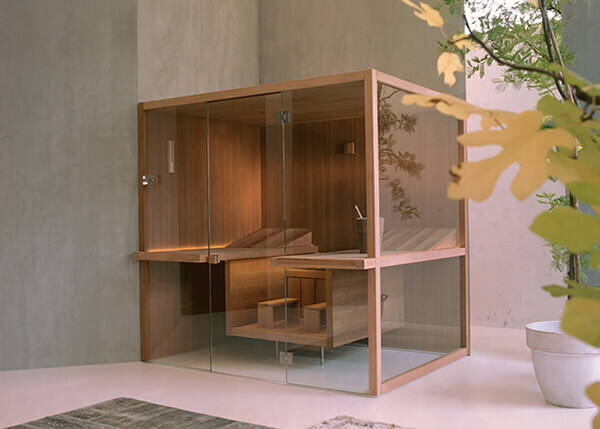 You can enjoy a relaxing bath whenever you want. In order to make it easier for you to buy a hot tub, we decided to reform the pricing model altogether. Now the prices of the hot tubs contain everything necessary and there are no unexpected additional costs. We work with different transport companies so that we can deliver the jacuzzi directly to the garden or balcony of our customers. The tubs are delivered in a vertical position until is placed in the end emplacement. 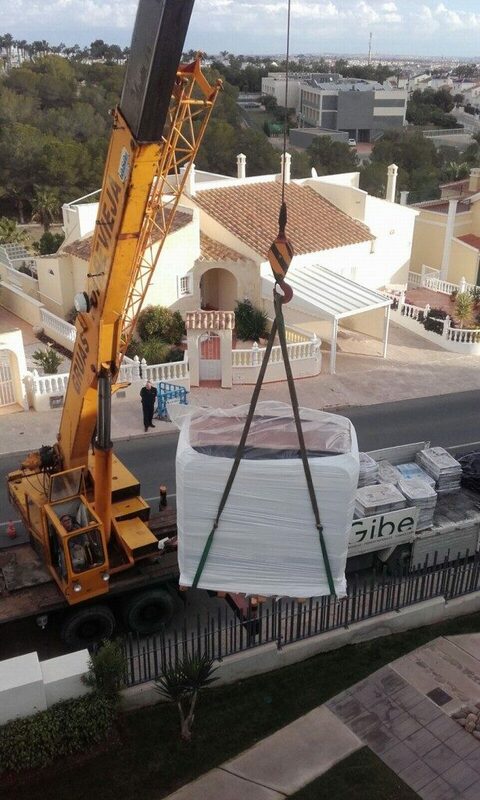 To install it sometimes cranes must be used or it can also be transported using a special fabric to carry the Jacuzzi®. We have delivered jacuzzis to truly challenging sites – such as roofs, balconies of the tallest buildings, islands etc. We find the best delivery solution that suits your needs. The hot tubs, indoor and outdoor, offer endless opportunities to relax at your own home every day of the year. Spas give you a high health beneficial component. The hot water and the powerful massage relax muscles and arteries, helping to reduce stress. A jacuzzi is really comfortable and easy to use due to the fact that is always prepared to take a bath. As well as that, thanks to its heating system, the filtration equipment and cover the tub, you can enjoy a nice hot bath at any time of day. On the other hand, the spas are very easy to maintain. The cleaning agent is added once a week and the water is changed every six months. 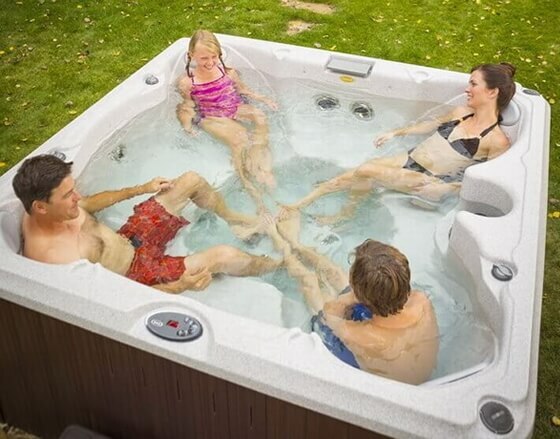 In our stores and showroom you will find a wide range of products and spare parts for all hot tubs. 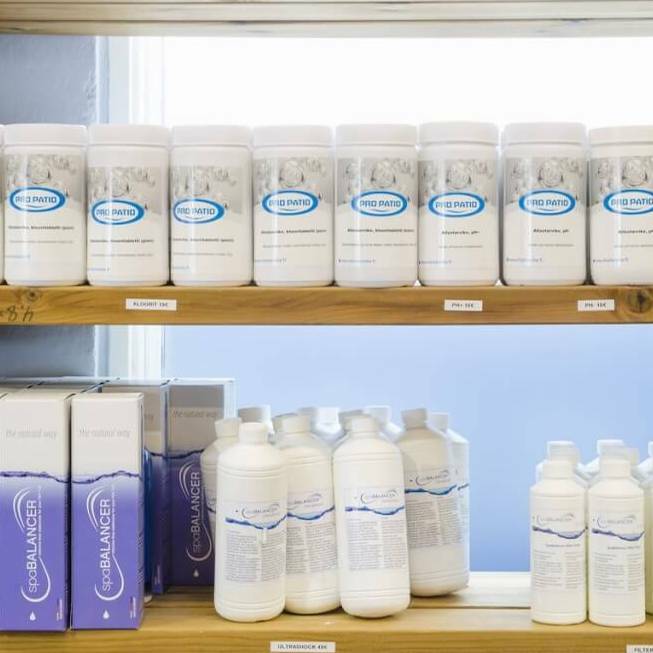 We have parts, chemicals, accessories, and all other additional items for maintenance. Jacuzzi on balcony or terrace? 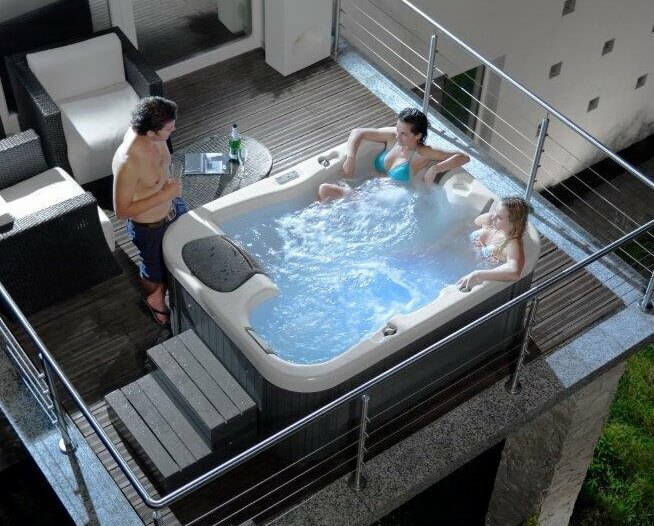 It is possible to install hot tub on the balcony or terrace but there are few important facts that you need to know. First is the weight of the hot tub when filled with water. Most spas have capacity from 700 to 1200 liters. Another important consideration is access to the maintenance system of the spa. These elements should have clear area of access. And finally, most hot tubs require strong power supplied and connections. Not many regular homes with balcony have these kinds of power outlets, so they need to be separately installed.